When it comes to December and shopping there's a huge expense I find placed on a lot of people, sowhen I hear of any kind of rewards it’s always most welcomed. 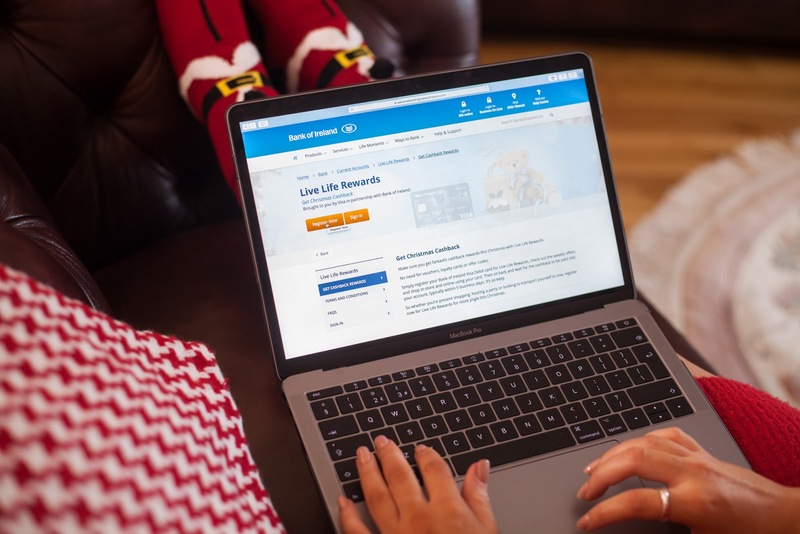 But when Bank Of Ireland came tome to introduce me to their Live Life Rewards programme which isn't just for Christmas, it's all year round, I knew instantly it would be a great collabouration and talking point here on this blog especially for fellow shopping enthusiasts as it covers both online and in store retailers too. How it works? For Bank of Ireland current account users their programme gives cash back on certain brands up to 30% across fashion, homeware, travel and more when you use your BOI Visa debit card with the selected retailers on their Live Life Rewards list. You just register your Bank Of Ireland debit card online and enjoy cashback which will go into your account within 5 working days. A key thing I liked about the programme is that you don't need to use any online codes or print out any vouchers, you just use your BOI Visa debit card as you normally would! Throughout December alone there are lots of retailers to choose from who are participating in their rewards programme; Now TV, Just Eat, Topman, Woodie's, M&S, Missguided and lots more. They are all retailers most of us tend to shop in or use over the Christmas period and at the end of the month there would be an added excuse to treat yourself when the cashback adds up! Bank Of Ireland also update their offers regularly with a wide range of retailer options and they update people via email with their most up to date deals too! Considering the week that's in it, I picked two brands from the BOI rewards list, M&S homeware and Misguided. 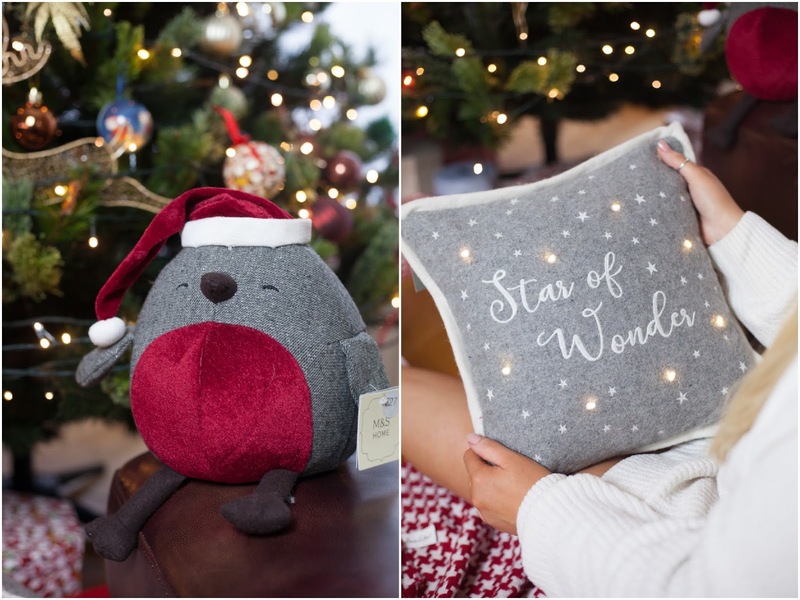 For homeware, I've been meaning to pick up some last minute bits and pieces and items I wanted to get my mum for her new house that were both practical yet pretty! I choose a broad selection but all in the same colour palette of various grey tones to work for any room in her house. 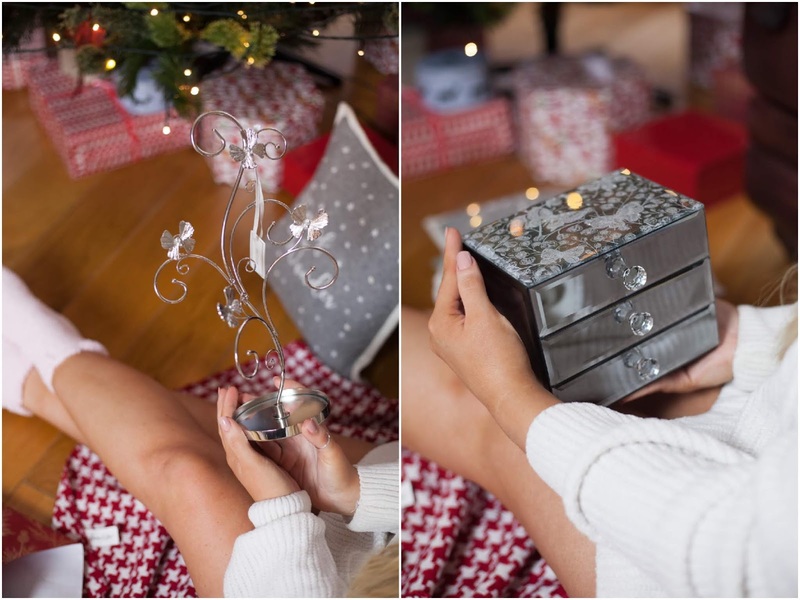 I found the cutest robin door stopper, some festive interiors "Star Of Wonder" pillow that lights up too and an under the tree present for mum; a Butterfly jewellery box and matching earring holder. I also picked up some added bits, wrapping paper, cards, some Christmas Day family games for after Christmas dinner, and a reindeer candelabra to decorate the Christmas table. I definitely ended up leaving M&S with a lot more than I expected to, but I felt a little more comfortable knowing I would be getting 10% cash back into my account within a few days! I predominantly shop online for most of my fashion pieces, mainly for the options of sizes and how it saves me so much time too. I was delighted to see BOI rewards programme offered 30% cashback on Missguided orders this month so I feel a little more organised now for the next two weeks as I've lots of December Birthdays, Christmas parties and catch ups with the girls arranged where I knew I would need to have some easy go-to glam pieces!